Jan de Vries was born on 24 January 1924 in Leeuwarden, the Netherlands. 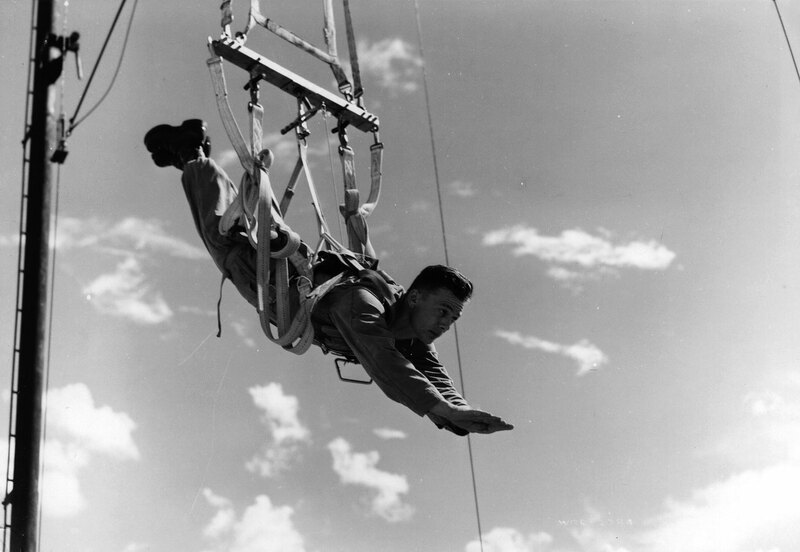 His family immigrated to Canada in 1930, joining his father who arrived four years before. Jan loved the outdoors and could often be found playing with friends at Dentonia Park, north of Danforth Village in Toronto. Jan cut his schooling short in 1939 to help his father run the family automobile service station. 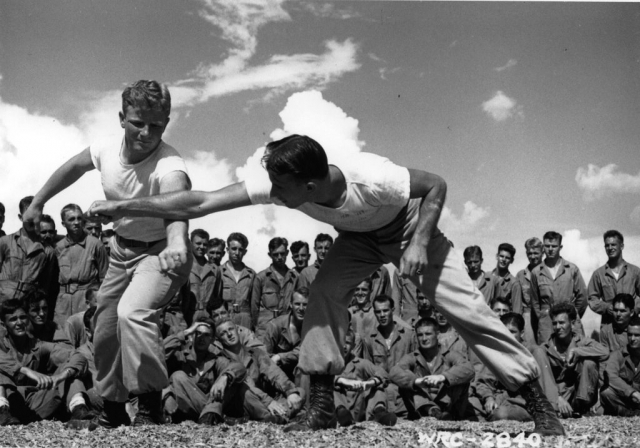 In the early 1940s, he drove a meat delivery truck and worked as an engraving machine operator. In 1942, the 18-year-old attempted to join the Royal Canadian Air Force. 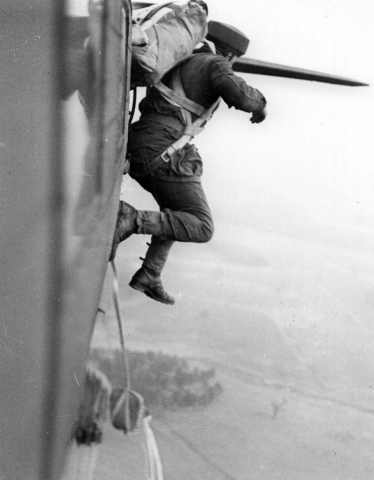 His application for aircrew was rejected on the grounds of partial colour blindness. 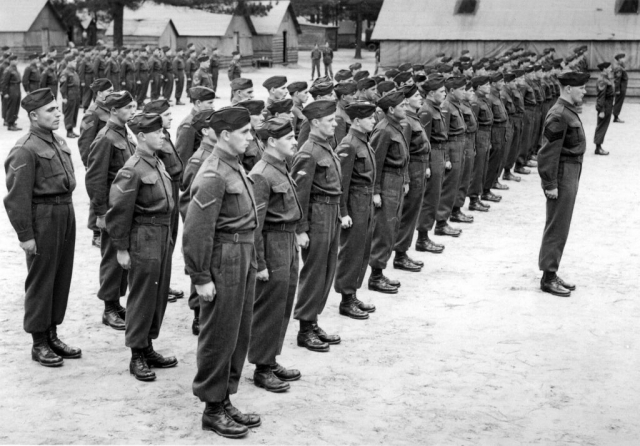 Unsure of which branch of the army to join, Jan was impressed by the smart uniforms and the manner of Canada’s new parachute troops. 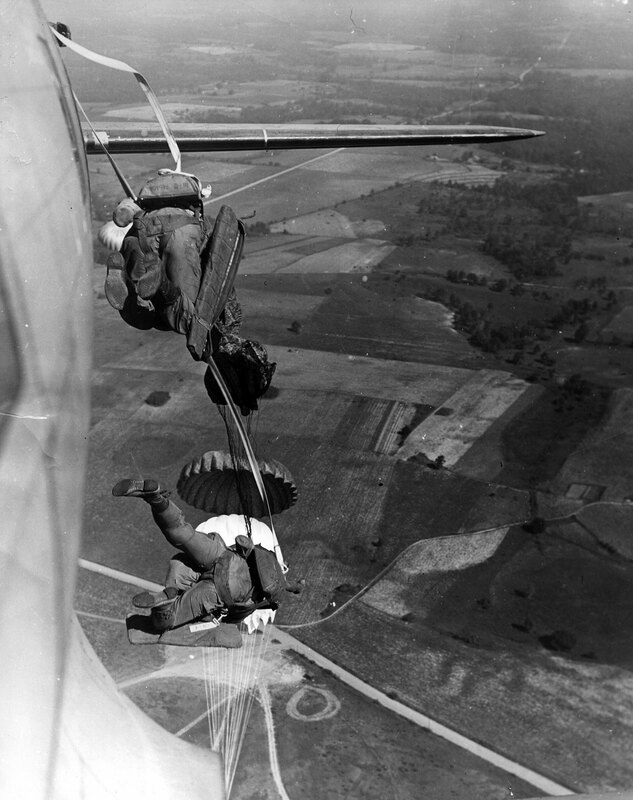 He enlisted in Toronto on 9 April 1943, took six weeks of basic training in Brantford, Ontario, and reported for parachute training at the Canadian Army’s new facility in Shilo, Manitoba. 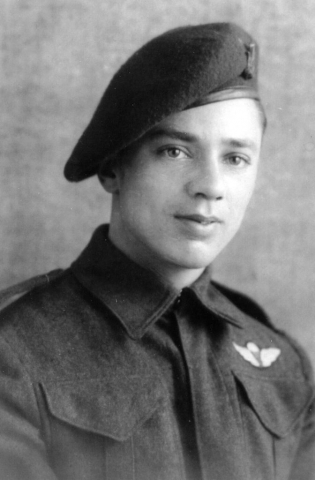 Now a member of the 1st Canadian Parachute Battalion, Private Jan de Vries sailed for the United Kingdom in July 1943. He completed his parachute qualification and received his jump wings in September. Just after midnight on 6 June 1944 Jan jumped out of a cramped Albemarle bomber. He descended into the night, weighed down by 80 pounds of equipment. 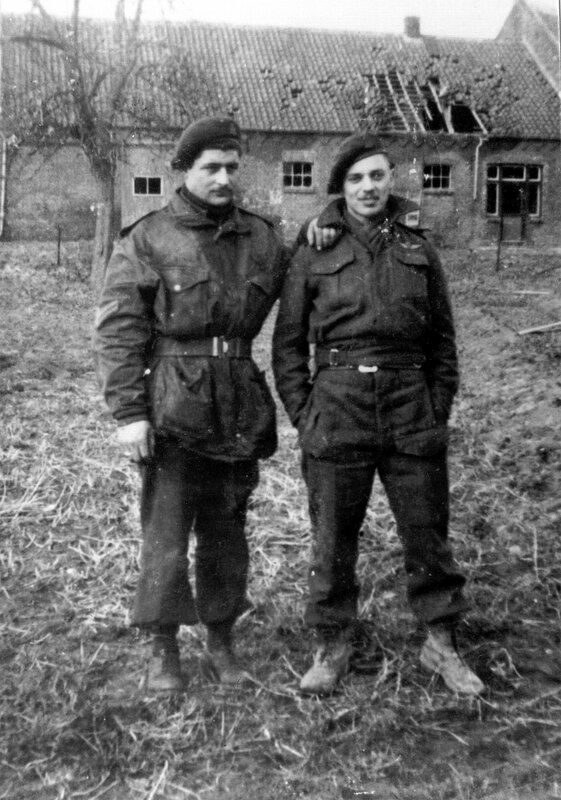 Private de Vries landed some 12 kilometres from his unit’s drop zone and spent most of D-Day travelling across the front line to the 1st Canadian Parachute Battalion’s position. Jan remained in Normandy until 31 July when a German sniper shot him through the shoulder. 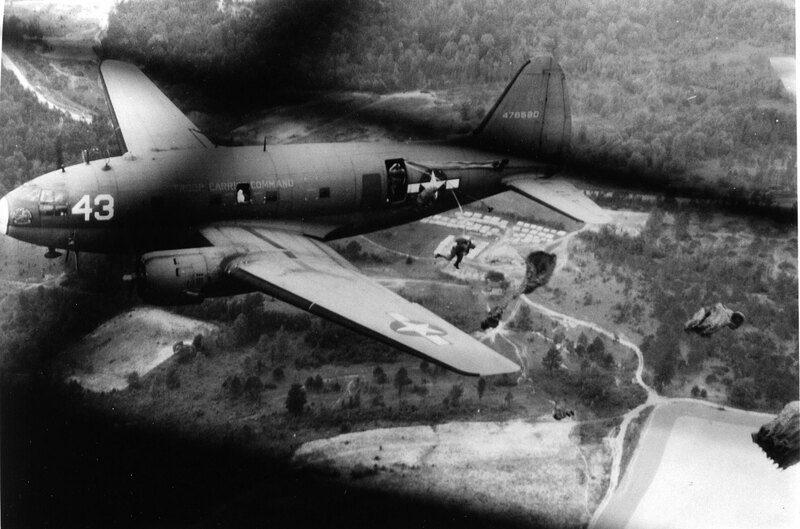 The wounded paratrooper was evacuated to a Canadian hospital in England and rejoined the battalion in September 1944, after it returned from Normandy. Private de Vries also served in Belgium, the Netherlands – his country of birth, and Germany. He left the army in 1946 and took advantage of veteran transition programs to attend the Canadian Army Trade School. He became a carpenter and worked in construction until his retirement in 2000. 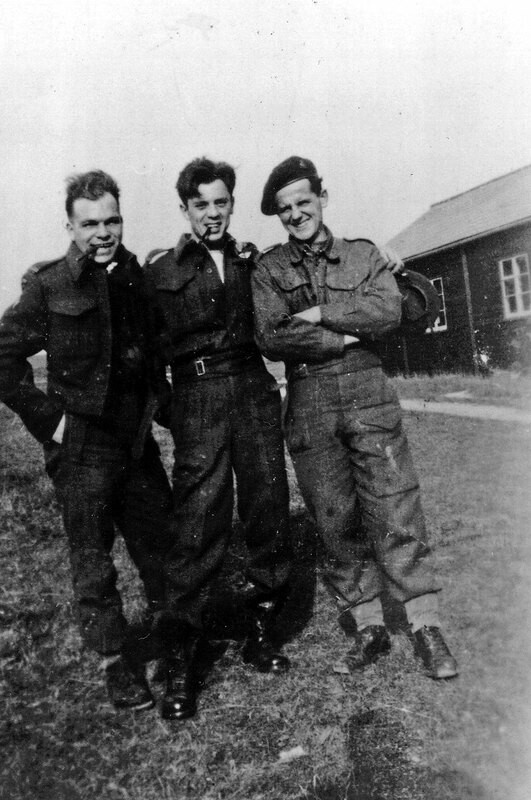 Jan de Vries remained active in the veteran’s community. 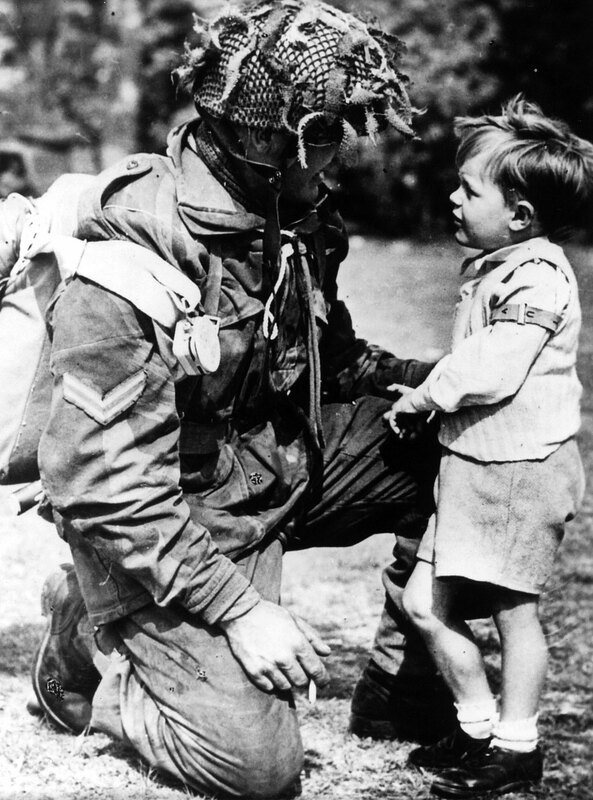 He was president of the 1st Canadian Parachute Battalion Association from 1995 and played a crucial role in supporting the construction of the Juno Beach Centre in Courseulles-sur-Mer, France. For his talent for engaging younger generations in remembrance education, Jan received the Order of Canada in 2006. Jan de Vries passed away on 27 May 2012 at Ajax Pickering Hospital. He left behind his wife, Joanne (née Nicoll), six children and step-children, 15 grandchildren, and two great-grandchildren. 1st Canadian Parachute Battalion in Normandy Parachute troops or paratroopers are soldiers trained to jump out of aircraft, descend by parachute, and fight until relieved by regular army forces. 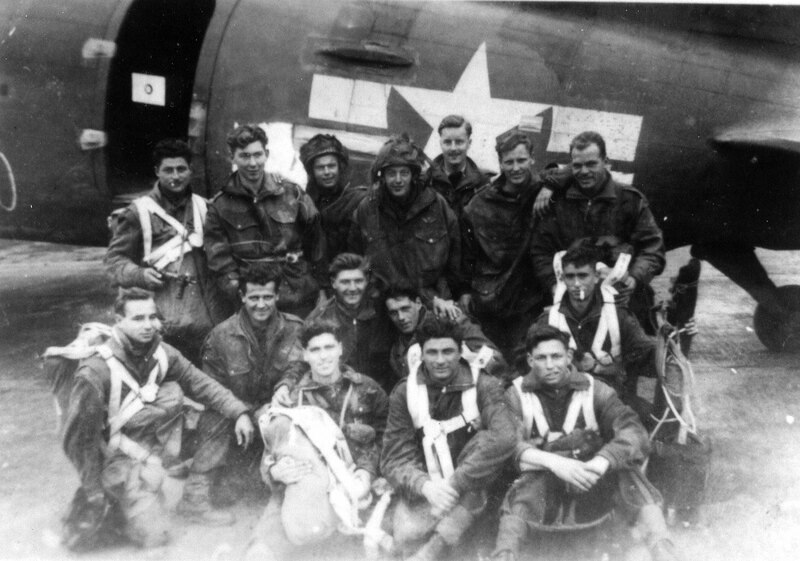 On the night of 5/6 June 1944, 543 men of the 1st Canadian Parachute Battalion jumped into Normandy for Operation Tonga. As part of 3rd Parachute Brigade, 6th British Airborne Division, the battalion’s job was to secure the eastern flank of the landings. The drop was scattered, but the Canadian paratroopers managed to assemble enough strength to accomplish all their objectives. 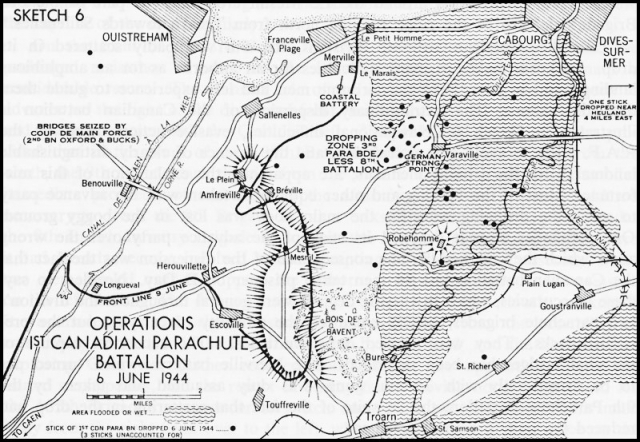 They demolished bridges at Robehomme and Varaville and supported a British attack on a coastal gun battery near Merville. 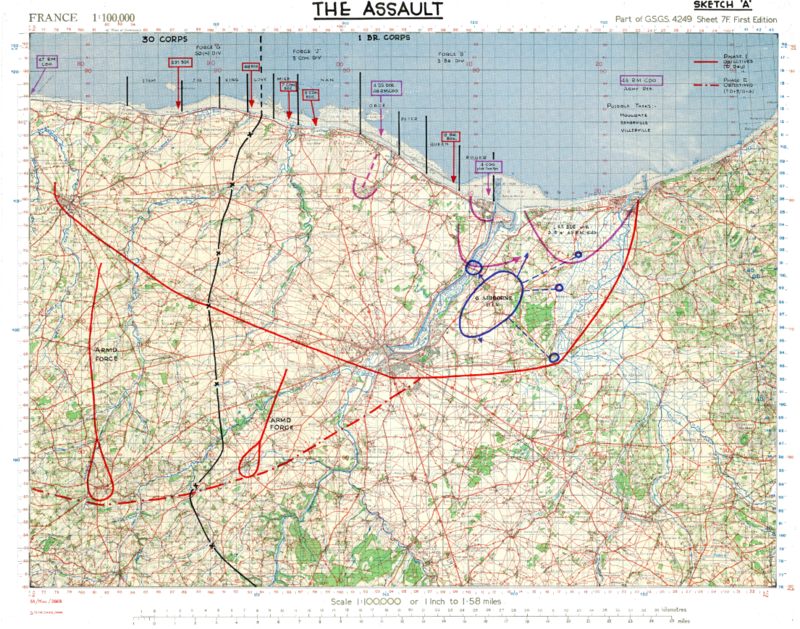 Total D-Day casualties amounted to 19 killed in action, 10 wounded, and 84 captured. The 1st Canadian Parachute Battalion reassembled on D-Day and in the days afterward at Le Mesnil crossroads. 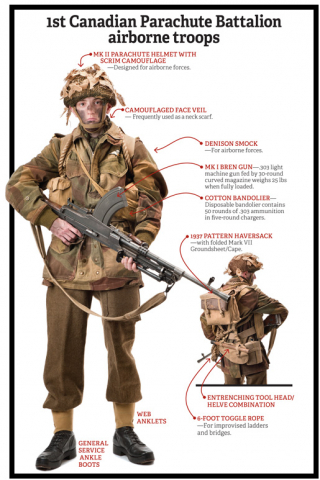 Here they joined with British paratroopers to defend against German counterattacks. They held their position until 17 June, when the Canadians moved out of the line for a week’s rest. 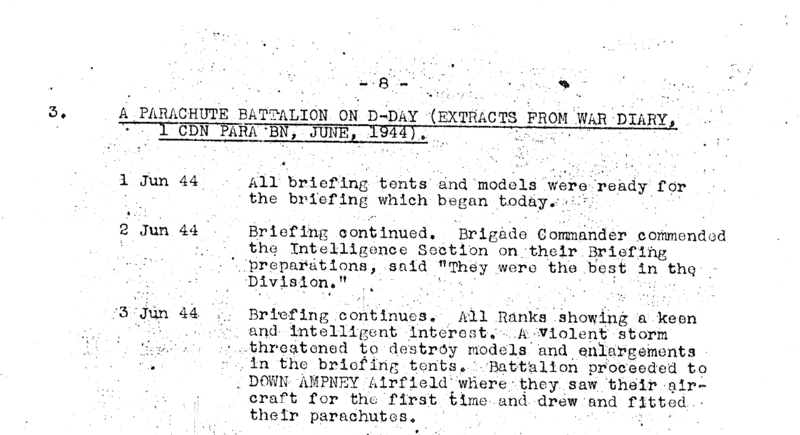 By this time the battalion was down to 312 men. They returned to the crossroads on 25 June. The Germans were now less aggressive in the sector, realizing they could only hope to contain the Allies rather than push them back into the sea. In early July, the Canadian paratroopers got another rest period. The battalion took in 100 reinforcements from standard infantry pools. 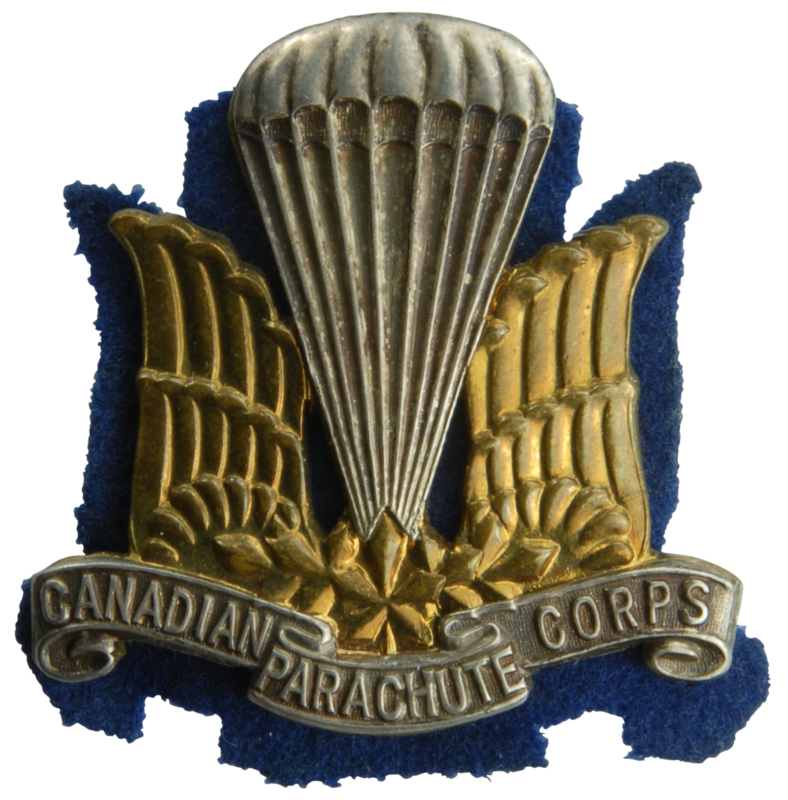 Higher authorities withheld Canadian parachute reinforcements in the United Kingdom for a future airborne drop. 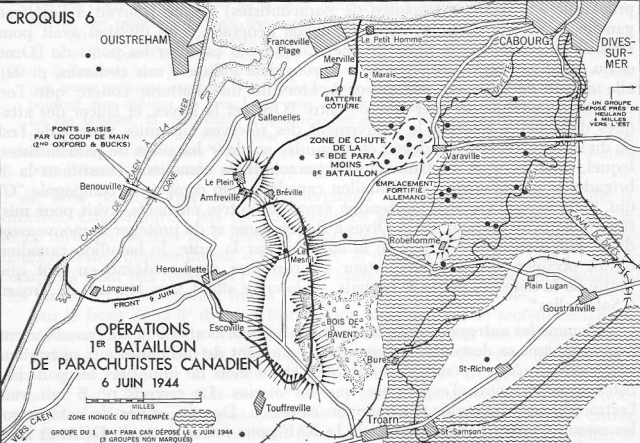 While in the line the battalion endured heavy rains, mud, and boobytraps as it worked to clear the woods near Bavent. 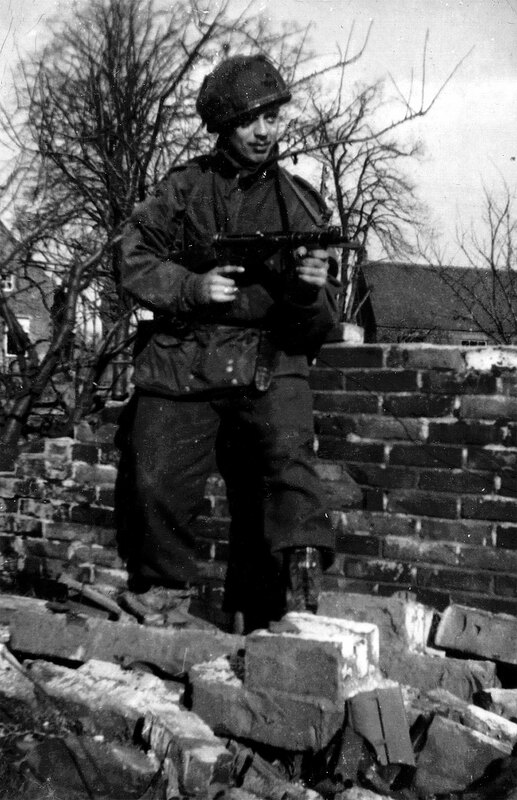 This was around the time Jan de Vries was shot by a German sniper. On 17 August 1944, the 1st Canadian Parachute Battalion began its advance to the Seine River. German troops were in full retreat, destroying bridges in their wake. 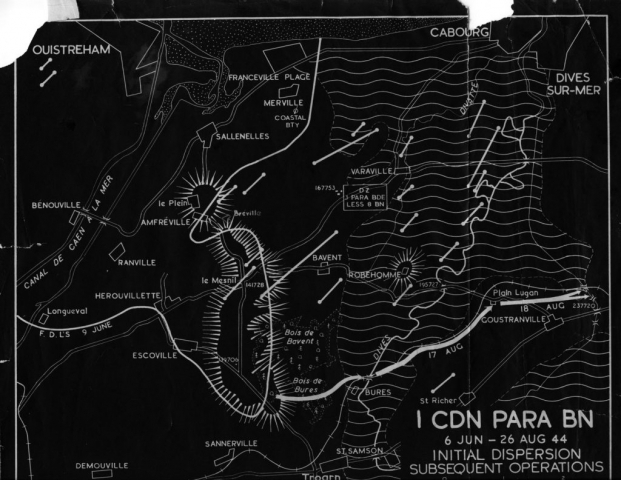 The battalion halted on 25 August near the village of Beuzeville, where the paratroopers revelled in the celebrations of liberated Frenchmen, women, and children. On 6 September 1944, the unit sailed back to England with only 197 of the original 543 Canadians who parachuted into Normandy. 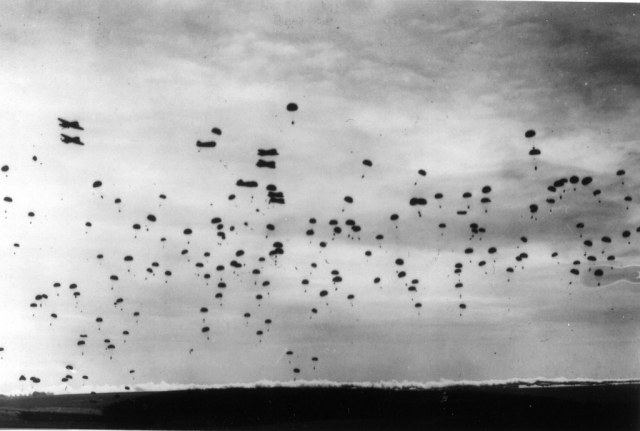 In England, planes take off for a mass jump exercise; planes fly in formation; paratroopers leap out; paratroopers and equipment land in a field; spectators look on. 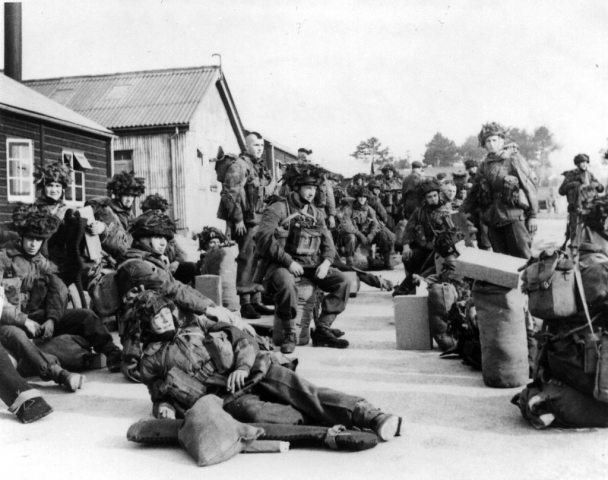 1st Canadian Parachute Battalion, 6th Airborne in Germany; cooking; moving on through town; British tanks; prisoners.